Bowe Bergdahl: Is It True? In my original post regarding Pfc Bowe Bergdahl, I’ve noted dismay over how someone could just walk away from a US camp located in the middle of Afghanistan. Later on, I criticized comments from Fox News correspondent LtCol Ralph Peters calling Bergdahl a deserter and claims by the right wing shill P.J. Tobias “confirming” it, as well as other right wing neocons calling for his head, mimicking the word s of Peters. Today, it’s been “reported” by Britian’s not-so-esteemed conservative tabloid Daily Mail (in an uncredited article) that the Taliban has announced that Bergdahl has “changed sides”, has changed his name to Mohammad and is training the Taliban forces in the fine art of making remote control bombs and ambush training. This is, of course, the same Daily Mail convicted of libel time and time again. The same Daily Mail that pressed for WW1 and supported Hitler and Mussolini in the years prior to WW2. This rag even has it’s own Facebook Page, detailing numerous alarmist stories it’s printed over the years. Yet, the neocons of the world believe it’s words. Right now, a Google search shows tens of thousands of hits today detailing, well, actually copying the original Daily Mail story about Bergdahl. And the neocon blogs and forums are just plain giddy over this “news”! What the hell is wrong with our country when people believe Fox News, the Daily Mail, and swarms of scurrious other news sources out there as the gospel yet won’t believe our President when he says he’s a CHRISTIAN??? Pfc Bowe Bergdahl – Video Released? The Taliban (via al Emara) has finally released what is purported to be a new video of Pfc Bowe Bergdahl, the captured soldier held in Afghanistan. Although not officially confirmed to be Bergdahl, it appears to be him. Remember, before making judgments after viewing this video…what the US POW’s in Vietnam were forced to do. The U.S. military indirectly confirmed that the man shown in the video was Bergdahl, and asserted that he spoke under duress. Bergdahl, an Idaho native and a member of an infantry unit based in Fort Richardson, Alaska, is the only U.S. service member known to have been seized by insurgents during the Afghan conflict, which is now in its ninth year. He vanished June 30 from his base in eastern Afghanistan’s Paktika province, bordering Pakistan, and military authorities acknowledged at the time that the 23-year-old soldier was believed to have walked away from his post, for unknown reasons. The remote base where he was stationed lies in an area where the Taliban and other insurgent groups operate freely. Some of the 30,000 American troops being sent to Afghanistan in the coming year are expected to be deployed in the east, along with the volatile south. 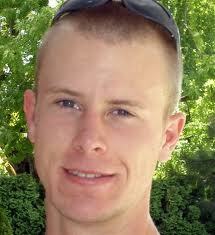 Bergdahl had not been heard from since July 19, nearly three weeks after his capture. At that time, his captors released a video showing him clad in traditional Afghan dress, appearing distraught, calling for a withdrawal of American troops from Afghanistan. The new video shows Bergdahl clad in what appear to be American military fatigues and a helmet, his eyes shielded by large sunglasses. He is pale but appears in generally good condition, and says in the video that he is not being mistreated. The Taliban had announced earlier this month that a new video of Bergdahl would soon be released, and its distribution on Christmas was characterized by the American military as an effort to exploit both the holiday and the soldier’s captivity for maximum propaganda purposes. “To release this video on Christmas Day is an affront to the deeply concerned family and friends of Bowe Bergdahl, demonstrating a contempt for religious traditions and the teachings of Islam,” Smith said in his statement. There was no indication of when the video was made. Because of that, a senior U.S. official said it is not regarded as proof that Bergdahl is still alive. I understand LilMike is a follower of all things right wing, neocon, and bows before the Gods of Rush and Faux News, but I find that it’s sad that he would actually imply that there’s something more to the story surrounding this young man ending up in Taliban arms. Really. I always thought the right wing, neocon, followers of the Gods Rush and Faux News supported the troops. I guess not. So, what is it about this young man that they hate so much they implore the Taliban to go ahead and “finish the job”? Could it be that Bergdahl worked as a barrista at a coffee shop before enlisting? Or that he studied ballet? Does Bowe Bergdahl not meet the criteria of being a soldier in the eyes of the right wing, neocon, followers of the Gods of Rush and Faux News?